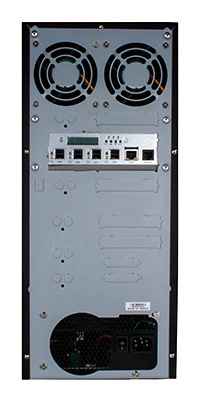 12 SAS or SATA drives in one box using only a single cable SFF-8644 HD miniSAS connection with SAS reliability and performance. 4800MB/sec bandwidth. Zoning support for up to three groups. 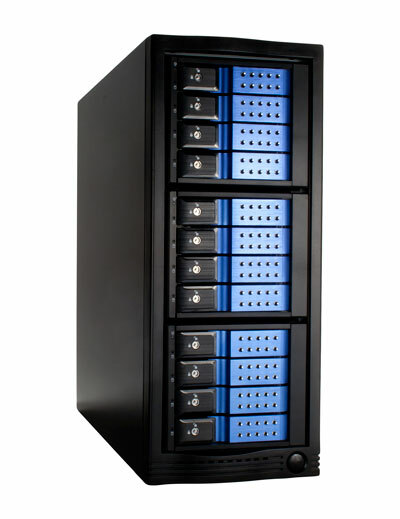 Ideal desktop direct-attached mass-storage solution. Host controller monitoring and temperature-triggered speed control of rear exhaust fans. Two additional HD miniSAS connectors for daisy chaining, zoning or dual-connection capability to the host for cable redundancy and slightly increased bandwidth. Zoning capability to connect groups of drives to different host PCs.